Champagne is always at the top of our lists when we think of classy drinks. But sometimes, just Champagne isn’t enough, and we need a sweeter champagne cocktail. There are many ways to jazz up your champagne like adding orange juice to make a mimosa, cranberry juice to make a poinsettia or while it doesn’t have a European name, some would argue that pomegranates go with champagne the best. 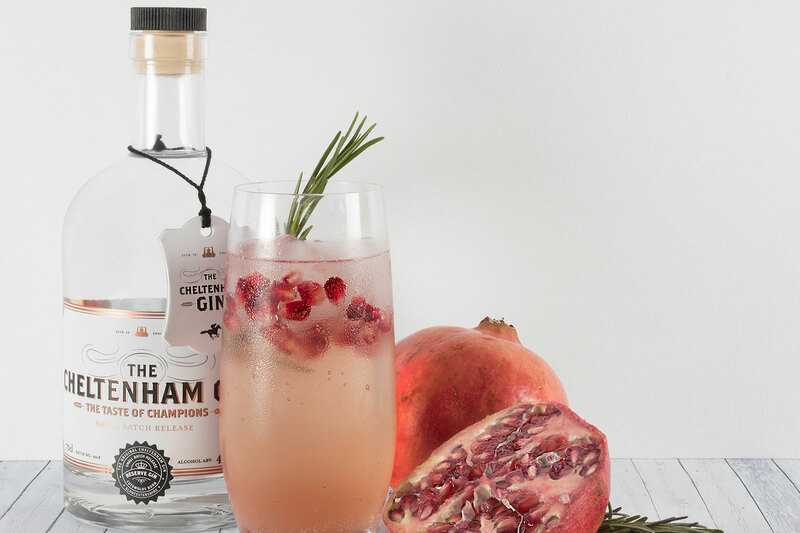 The bitter and sweet taste of pomegranate meets with the bubbly and adds more joy to the already delicious drink. We have gathered 4 different champagne pomegranate cocktails for you to enjoy with your loved ones on special occasions. So simple, yet so beautiful. A perfect foundation for any type of garnish you want to try it with, this drink is also plenty tasty on its own. Absolutely fabulous for a girl’s night in, special celebrations with your romantic partner or a holiday party. Your guests will not stop talking about it. Swipe the champagne with ginger-ale for a younger crowd, so they can enjoy this beautiful drink as well. How exciting is it that summer is here? With this sweet, cheerful and elegant drink, you can make your summer pool parties a blast, birthday parties ones you will never forget or just about any other summer event fun. The punch is a little stronger on the alcohol because of the rum but the sugar makes up for it in the aftertaste. The mint and lemon add a refreshing touch to the already chilled and iced drink, creating incredible mouthfeels. Whatever you are making this punch for, people will love it. So, get ready to be praised and a little drunk because 1 is never enough with this punch. Tip: Put water in a metal bowl and add 1 cup of pomegranate seeds, lemon slices and mint leaves in it and freeze it. Once frozen, defrost just enough to get the ice block out and put it in the punch bowl before adding the liquids. Tip 2: if your punch bowl is too small, serve the remaining cocktail in a chic pitcher. It is almost impossible to mess up a drink by adding ginger. Champagne is no exception to that. While ginger ale and champagne might be considered an alcoholic/non-alcoholic version of each other, adding fresh ginger to champagne is a whole new world on its own, a different taste than both, enchanted with the exotic taste of pomegranate. Increase or decrease the amount of ginger to your liking and add a little bit more sugar if the cocktail is too bitter for you. This cocktail takes a little more preparation than the rest because some of the ingredients are boiled beforehand but believe us, it will be worth it. 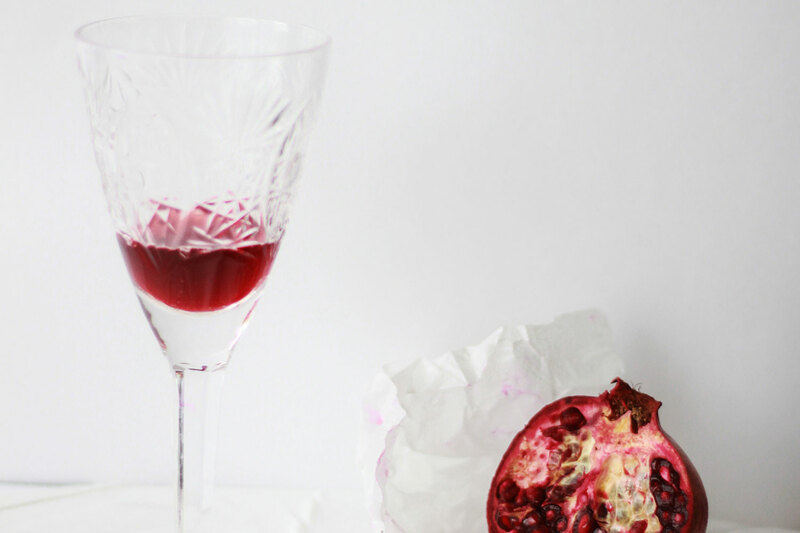 This is a twist on the classic champagne-pomegranate drink. It is just as simple to make and can also be a great foundation to your new creation but has a thicker texture because we will be blending the pomegranate seeds before adding champagne on top. This is a great holiday drink you can pre-prep and put together in under a minute. Adding your own touches, although not necessary, is recommended. Lemon or other citrus slices inside the champagne flute would garnish the cocktail and add another flavor to the palate. If the drink is to bitter, you can add simple syrup or a little sugar into the mix. Tips: You can use good Prosecco as a Champagne substitute for this recipe, and quite honestly, you’d never know the difference. Also, you get great results from puréed peaches or even strawberries instead of pomegranates, but I always think it’s best to stick to what’s in season. Garnishing champagne with pomegranate seeds, fresh cranberries, strawberries, lemon slices, and mint leaves are always a great idea for a party. For something completely different, rim your champagne flutes with sugar when using bitter recipes. Guaranteed to give the look and the taste a sweet kick. Make your summer or upcoming holiday season extra special with these cocktails, whatever the occasion is.